Stock Up On Young’s Ice Cream During Annual Pint Sale! 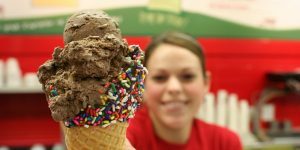 It’s time for Young’s Jersey Dairy’s annual homemade ice cream sale. 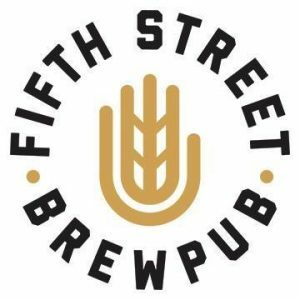 Stock up on $2.39 pints this Thursday – Sunday! All you care to buy, while supplies last. They start with several thousand pints of ice cream. This is a once a year sale, so don’t miss out! Stock up on Young’s homemade ice cream! 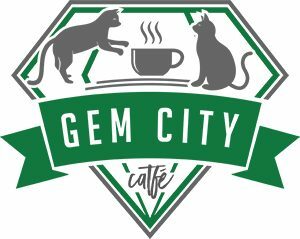 The Dairy store is open Sun-Thur 7am-10pm and stays open until 11pm on Friday and Saturday. In 1958, the Young Family decided to try to sell our Jersey milk directly to the public. The first sales room was a modest operation. They built a 10’ by 10’ room onto the end of the milk room. The equipment was also modest – some glass jugs, a refrigerator, a cash drawer, and the honor system. The customer would drive up, open the refrigerator, get his gallon of milk, leave an empty jug and the money, and drive away. 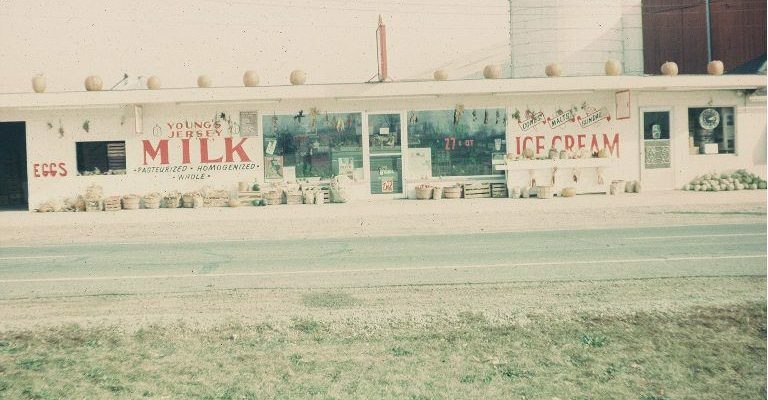 There was a market for farm fresh milk, so in 1960, they built and opened their first real dairy store. They started dipping ice cream in this store. They also added other dairy products, like cheese, and snack foods. This building is attached to the big red barn and is where they make ice cream today. 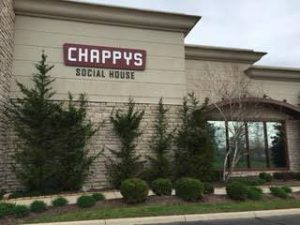 Between 1972 and 1990, they added additional parking, more seating for the restaurant, and expanded the kitchen area to keep up with the increased demand for sandwiches and meals. 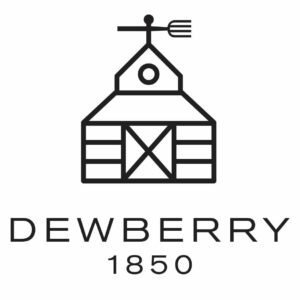 Their last large addition to The Dairy Store was in the spring of 1990 when they doubled the inside seating capacity and added a meeting room. 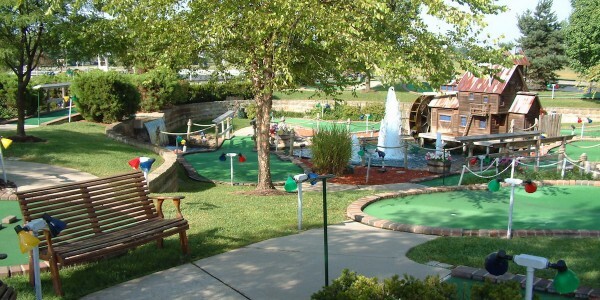 In 1993, they added the first activity at Udders & Putters – an 18-hole, farm theme miniature golf course. 1995 marked the first year for our driving range. 1996 saw the addition of a state of the art 9 position batting cage which features softball and hardball pitching machines. 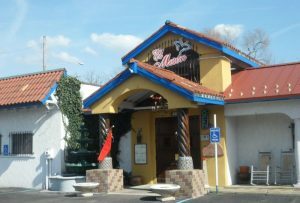 They opened a new full-service restaurant, The Golden Jersey Inn in 1998. 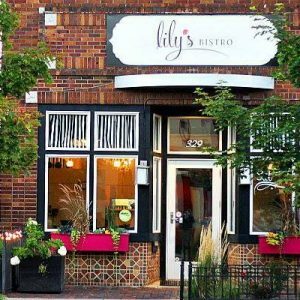 This beautiful timber frame building restaurant features great country style food with a generous helping of friendly service. In 1999, they built Barnabe’s Walnut Grove, a perfect place to have a group picnic, family reunion, class reunion, company picnic or any other function. Located just south of the popular Udders & Putters area, Barnabe’s Walnut Grove can easily serve groups with our home cooked meals and delicious homemade ice cream from 50 to over 5,000! All group picnics include a wristband good for all day entertainment – miniature golf, batting cages, driving range, Cowvin’s Kiddie Corral, Moovers & Shakers and seasonally Cowvin’s Corny Maze and Wagon Ride on the Farm! They built an additional 18-hole miniature golf course in 2000 to keep up with the demand for miniature golf and for our large groups of picnic customers. Other additions included Cowvin’s Corny Maze in one of their cornfields, complete with a wagon ride to and from the Maze. They added Cowvin’s Fast Slide in 2008 – a 30’ slide with a couple of bumps on the way down. Lots of fun for children and adults (minimum height of 42”). Cowvin’s Kiddie Corral is designed for younger Guests and features bounce-house, little tractors that can be pedaled around a wooden track, a corn pit (instead of sand pit) to play in, little slides, hay bales and more. This activity is located next to the batting cages at Udders & Putters. They started making Young’s Farmstead Cheese in July 2009. Using only milk from their herd of Jersey cows to make the cheese. They make Cheddar, Colby, Baby Swiss, Jersey Jack, Pepper Jack, Gouda and Fresh Cheddar Curds. 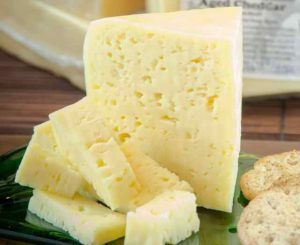 They sell several types and ages of Cheddar cheese – Jersey Girl is mild cheddar, Red Barn Cheddar is a little older and more medium cheddar in taste, Toreador the Ambassador Cheddar is aged about 12-18 months. Young’s on the Moove was added in 2017. Young’s on the Moove is their version of a food truck. The menu includes several Panini style grilled sandwiches featuring Young’s Farmstead cheese. Celebrate Young’s 150th birthday with these specials Jan 18-21! Included with purchase of any sundae, ice cream cone, milkshake or deep fried breaded cheese curds. $1.00 for additional souvenir Young’s 12oz milk bottles, while they last. 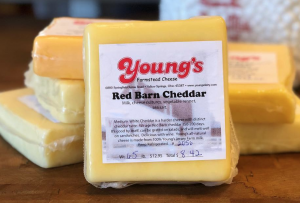 At Young’s Dairy they are offering unlimited Young’s Family Fun Wristbands all week to help celebrate their 9th year of making Young’s Farmstead Cheese! Good for unlimited family fun all over the farm – unlimited miniature golf, batting cages, driving range, Cowvin’s Fast Slide, Moovers & Shakers & Cowvin’s Kiddie Corral. 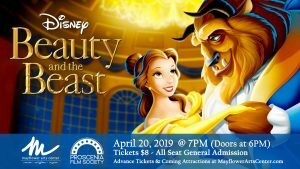 Price is $15 for ages 12 and over and $9 for ages 11 and under. Wristbands good only on day of purchase and can be purchased anywhere on the farm. Young’s Deep Fried Cheddar Cheese Curds will be on sale at both restaurants during our Cheese Anniversary at $3.49. Regular, Buffalo or Sweet Chili style! On Saturday & Sunday June 9 & 10 from 10 am to 8 pm get an order of curds from “Young’s on the Moove” – our new food truck. Or order a panini-style grilled cheese sandwich and enjoy a 1/2 pint of Young’s Homemade Ice Cream. 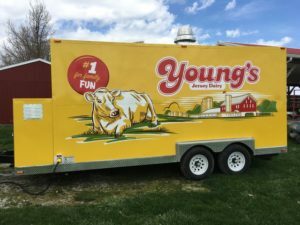 Young’s on the Moove will be parked on our Farm Plaza, where you can enjoy watching the goats while tasting an order of deep fried cheddar curds. 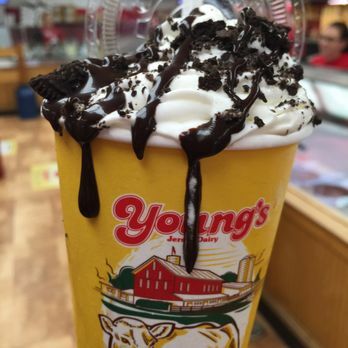 $1.49 Specials to Celebrate Young’s Jersey Dairy’s 149th Birthday! 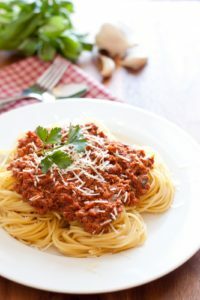 Golden Jersey Inn, Dairy Store or Udders & Putters and get $1.49 specials today through Monday! 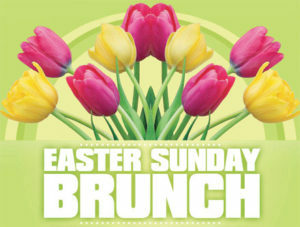 Enjoy special sales on food and fun all over the farm. Red, White & Blue Sundae: 3 dips, 3 toppings, $4.25. Keep the glass! For six generations the Young family has been running the dairy farm in Yellow Springs. This working farm has grown over the years. 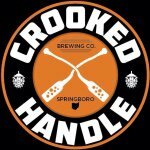 In the 60’s they got into the ice cream business, in the 70’s they added the bakery, in the 80’s they built the restaurants, in the 90’s they added entertainment with miniature golf, batting cages and driving range and eight years ago they added cheese making to the line up and this week they celebrate all things cheese! Watch or join the fun run! 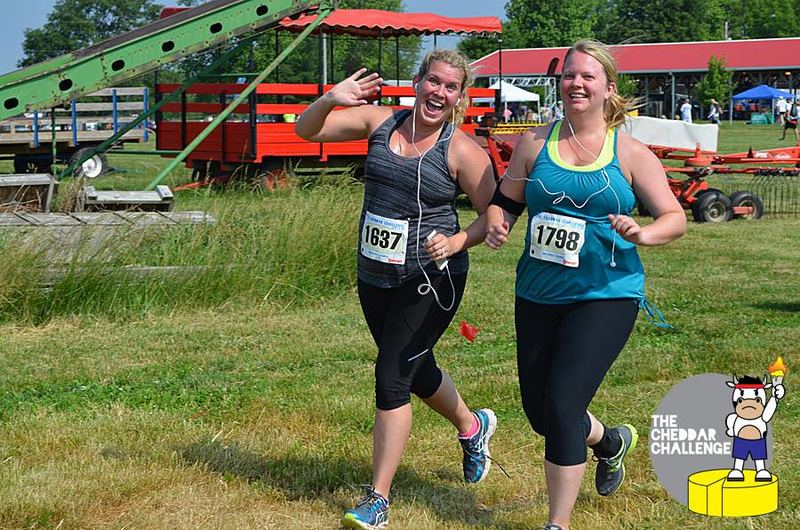 ‘The Cheddar Challenge‘ – a 5k trail run starting at 9am on Saturday, June 10th. 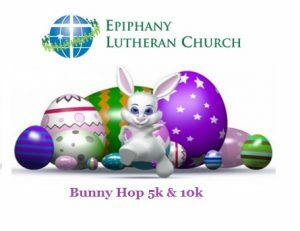 They’re expecting up to 1,000 5K runners and walkers! 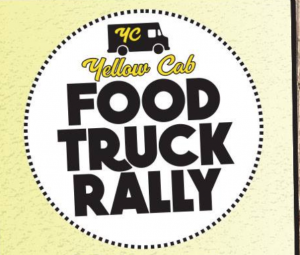 On Saturday & Sunday June 10 & 11 from 10 am to 8 pm get an order of curds from Young’s on the Moove – their new food truck. Or order a panini-style grilled cheese sandwich and enjoy a 1/2 pint of Young’s Homemade Ice Cream. 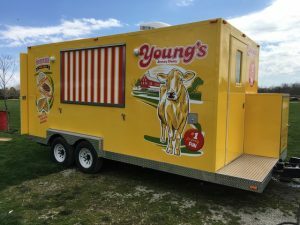 Young’s on the Moove will be parked on our Farm Plaza, where you can enjoy watching the goats while tasting an order of deep fried cheddar curds. Curds are just fresh cheddar cheese that haven’t been pressed into a hoop and aged. Curds have a mild taste — they haven’t developed the stronger cheddar flavor. Curds are delicious as a snack and can be used in many tasty ways. 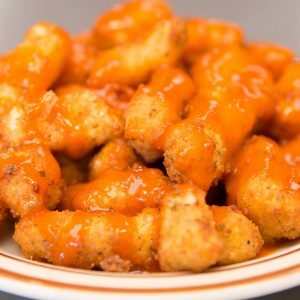 Their best selling curd is Young’s Deep fried breaded cheddar cheese curds, sold as a side item at both restaurants in traditional, buffalo and Sweet chili style. 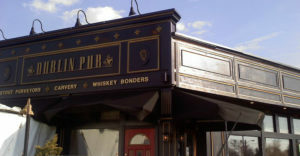 For more on Young’s check out this video with Ben Young giving a history of the family business. The once a year weekend for the Young’s Jersey Dairy homemade ice cream pint sale is here! So head on out to 6880 S pringfield-Xenia Rd in Yellow Springs and fill your freezer with $2.19 pints, while they last! Young’s says they’ve stocked the cases with several thousand pints so now’s the time to stock up! All you care to buy, while supplies last. 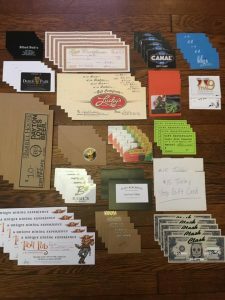 This is a once a year sale, so don’t miss out! Stock up on Young’s homemade ice cream now through March 26th! 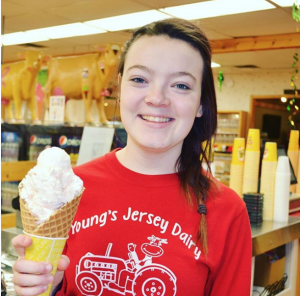 This Friday through Monday, Young’s Jersey Dairy celebrates its 14ith Birthday with special sales on food and fun all over the farm. 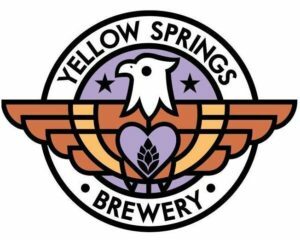 A real family business, there are a dozen family members representing 3 generation’s of Young’s working at the various businesses that are contained on the Yellow Springs complex. Young’s history begins in 1869 when relatives of the Young Family built the red barn on the then 60 acre farm. 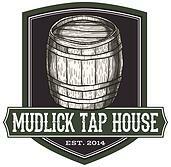 They grew grain, raised hogs, and milked cows. 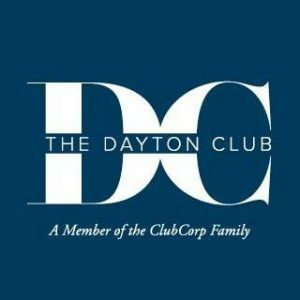 And from there it grew… to what is now one of the Dayton region’s most visited tourist attractions, featuring batting cages, miniature golf, 2 restaurants, and a picnic area that can serve up to 3500 folks. For a complete history, read here. These Birthday deals only comes once a year! 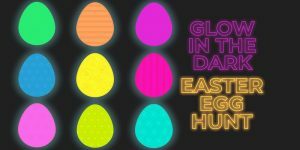 Help them celebrate by heading out towards Yellow Springs and taking advantage of the good deals! 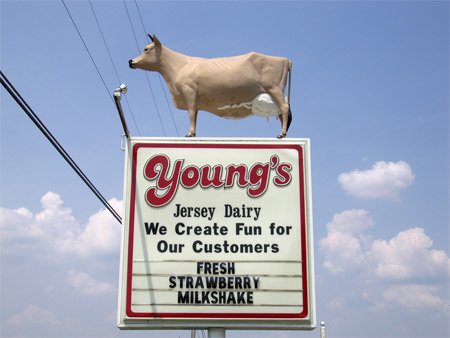 Young’s Jersey Dairy is celebrating their 7th year of making Young’s Farmstead Cheese! They are offering unlimited Young’s Family Fun Wristbands all week for unlimited family fun all over the farm – unlimited miniature golf, batting cages, driving range, Cowvin’s Fast Slide, Moovers & Shakers, Pedal Karts & Cowvin’s Kiddie Corral. Price is $14 for ages 12 and over and $7 for ages 11 and under. Wristbands good only day of purchase and can be purchased anywhere on the farm. Do you ride the bike trails out towards Yellow Springs? Perhaps this news will give you some inspiration to do so. 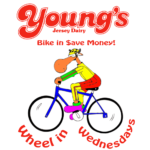 Every Wednesday when you ride out to Young’s Jersey Dairy and let them know you’re there for Wheel in Wednesday you can get a free extra dip of Young’s Homemade Ice Cream on any ice cream purchase at The Dairy Store or a free mini-dessert at The Golden Jersey Inn with the purchase of your meal. 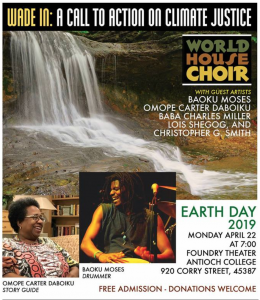 Or you can use their parking lot to drive out to Yellow Springs with your bike on car rack, unload your bike and make Young’s your starting point. One of the nation’s premier bike trails less than a mile from their location and think about wahat a reward a nice homemade ice cream cone would be at the end of your ride. It’s also a great way to train for the Young’s Ice Cream Charity Bike Ride July 16 & 17. 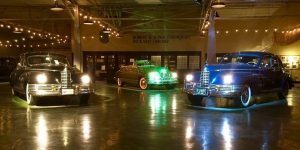 The ride starts and ends at Young’s, with 28 mile, 56 mile, 83 mile, and 100 mile options which head up to Ada, Ohio. Two-day participants stay overnight in great accommodations at Ohio Northern University. Riders of all ages and abilities raise money for charity and have a good time riding the well-marked routes. Food and ice cream is provided to all volunteers and riders. Each charity provides volunteers to staff the rest stops along the route. Every spring Young’s Jersey Dairy’s hosts a sale of their fabulous homemade ice cream made right there on the farm. 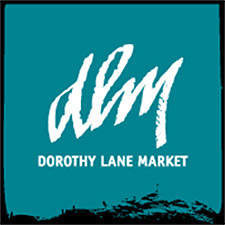 This year’s sale starts Thursday March 24th and runs through MondayMarch 28th. Young’s ice cream is made from a 15% butterfat mix (pasteurized milk, cream, and sugar mixture) which gives it a very rich taste. They make their ice cream with machines called batch freezers, which make 5 or 10 gallons of ice cream per batch. Each batch takes about 12-15 minutes to make. They add the flavorings at different stages of the process depending on how we want the ingredients mixed in. The ice cream comes out of the machine at about 23-25 degrees and is immediately put into a specially built walk-in freezer that has a high wind velocity and an average temperature of 30 degrees below zero. Freezing ice cream quickly is one secret of making excellent ice cream. If you allow the ice cream to freeze slowly, large ice crystals will form and a rough texture will result (this is why when you try to freeze homemade ice cream it sometimes doesn’t taste very good the next day). So pick up a prepacked pint for just $2.09, while supplies last. They start with several thousand pints of ice cream. This is a once a year sale, so don’t miss out! Stock up on Young’s homemade ice cream!